One thing is for sure; David Rydell and his family love their fruit trees. Out in the hills beyond Paso Robles David has been growing some of California’s best apples and stone fruit. It’s been over 25 years of beautiful fruit and beautiful memories, and he’s never looked back. Unlike many of our small farmers who inherit the love and craft from previous generations, David was bitten by the farming bug all on his own. For years, he’d slaved over a dead-end desk job, bored and uninspired. 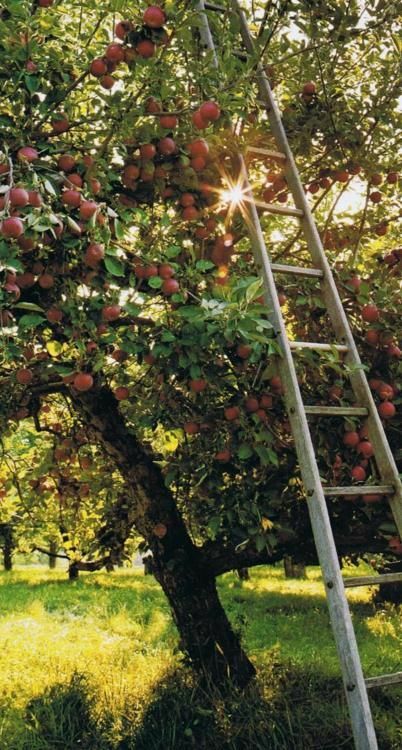 Looking for a change of life and pace, he decided to give it up and plant an apple orchard with his wife Nancy in 1992. 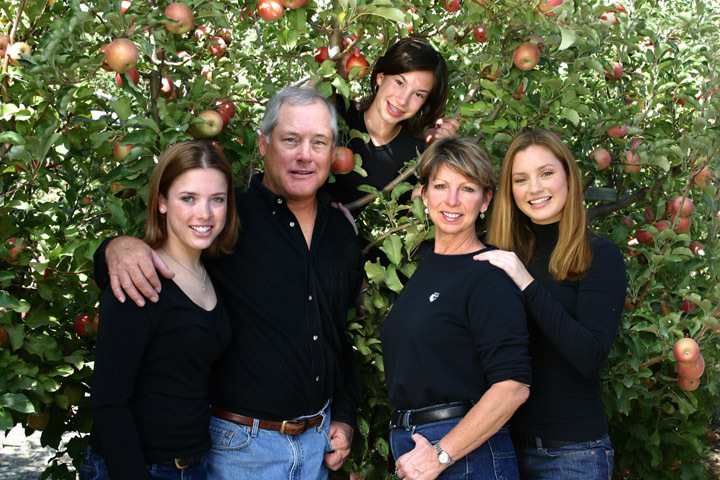 Most impressively, David and Nancy are one of the few growers nationally of the infamous Honeycrisp apple, a hybrid that was invented at the University of Minnesota in 1976. This delicate creature is so delicate, rare, and revered it is treated like royalty in the GrubMarket warehouse. In order to grow the apples in California, the University sent David grafts, and he put them in himself. His orchard is located in the Estrella River basin which offers a hot sunny days with cold nights, making it perfect for growing apples – and grapes – which is evident from the wineries which surround their farm. Like all our farmers, David and Nancy are committed to growing fruit the way Mother Nature intended, au naturale. In fact, he told us recently that growing organic is easy! 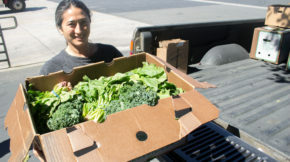 “That’s just the way nature intended.” The problem with growing organic isn’t the hard work, that is the beauty of the job. The problem is the hoops government and ‘big food’ make small farmers jump through. Fair Hills Apple Farms was certified organic for 15+ years but they recently decided to voluntarily cancel their certification status due to the high costs to maintain the license. 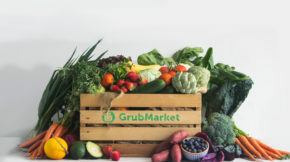 They continue to follow the strict organic guidelines though to bring the freshest, healthiest fruit to their customers, and their customers continue to support them wholeheartedly! Just like GrubMarket, Fair Hills Apple Farms aim for no waste across the acreage. No fallen fruit is too “ugly” to be part of a beloved cider. Each batch of this brew is a new and exciting blend of apples that changes depending on the ‘apple d’jour’. Although David doesn’t have a “recipe”, his favorite elixir, which he calls “the Nectar”, is a pure Gala Apple cider. 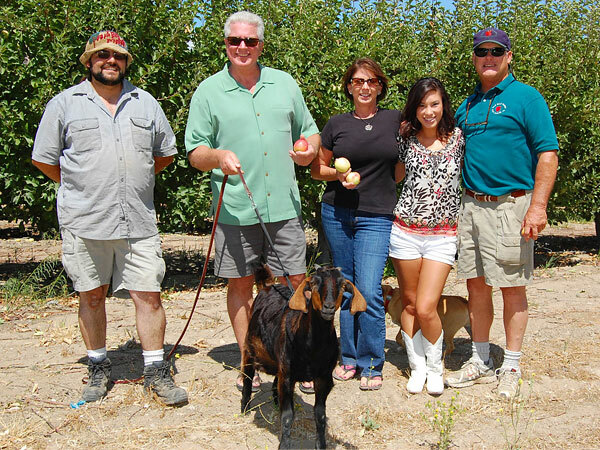 The family farm was even visited by beloved California’s Gold Host, Huell Howser. Visit their farm with us!